“I think this is why we at House for All Sinners and Saints sometimes say that we are religious but not spiritual. Spiritual feels individual and escapist. 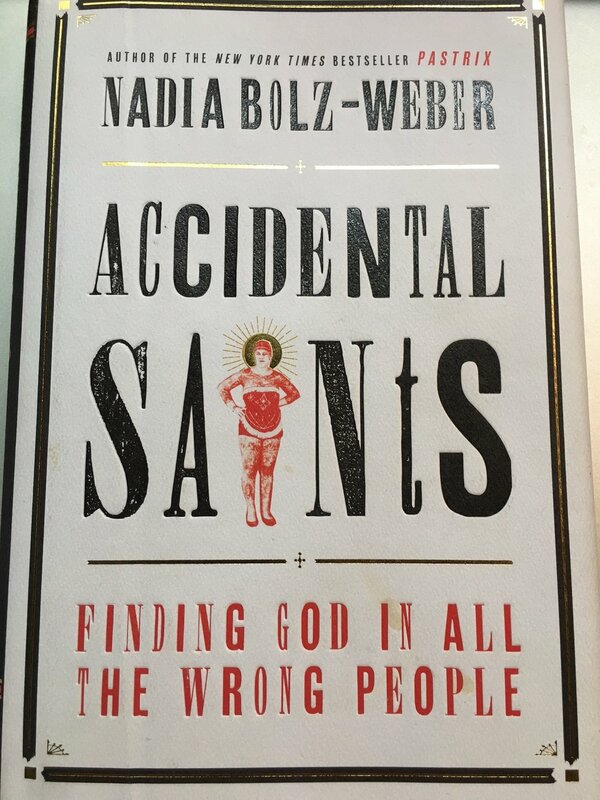 But to be religious (despite all the negative associations with that word) is to be human in the midst of other humans who are as equally messed up and obnoxious and forgiven as ourselves.” Nadia Bolz-Weber, Accidental Saints, Convergent Books, 2016. Again, and again, Nadia makes us sit up and take notice. I have heard so often that phrase, “spiritual but not religious,” and I know I have said it as well and have seen it as a badge of courage. What I hear is that this person has a relationship with God but not with a religious institution or church or creed or denomination. This person is trying to “home school” God, as I have actually heard some say. They often have been harmed by the institutional church or have been misunderstood by the church or may even misunderstand the church themselves. I hear this often from people whose experience of church was not a church that believed as much in a loving God as in a vengeful God watching their every step to catch them doing something wrong. They have been wounded, but they so want to have a relationship with God. They are truly seekers. Nadia, however, is reminding us that God most often does not call us only to a one on one relationship. God also constantly calls us to community, and that is where we will so often experience God in the unlikely humans we learn to live and work with, especially when we are a part of a community believing in a loving and forgiving God.